THE WILLIAM ARDIS FAMILY. 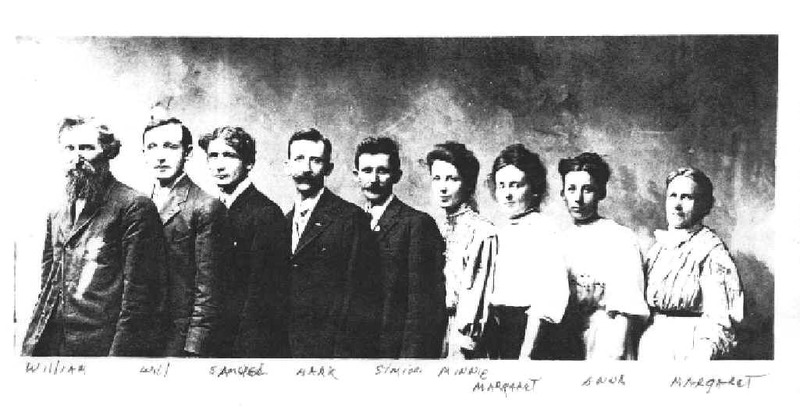 Katherine's Father, Samuel George Ardis (third from left), appears in a family portrait with her Grandparents, William Ardis and Margaret Mildrew, and all of her Aunts and Uncles, William Ardis, Mark Ardis, Sinnemon Ardis, Minnie Ardis, Margaret Ardis, and Anna Ardis. Photo is courtesy The Ardis Collection, Evart Public Library, Evart, Michigan USA. Photo was probably taken around 1898, with Samuel age 17.